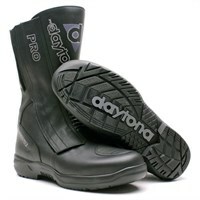 Daytona, in our view, makes the world's finest motorcycle boots for the serious motorcyclist who commutes, or tours, extensively. 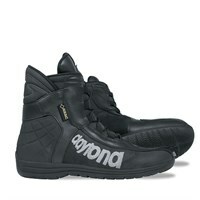 Daytona does not believe in bling. 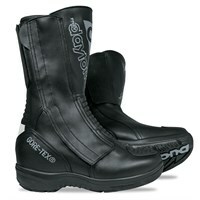 In fact, one might even suggest that their boots are a little dull in design terms. 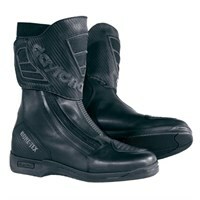 But what they do produce is boots of the very highest quality and safety. 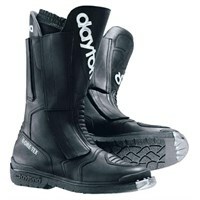 Daytona boots nearly all come with a Gore-Tex membrane for the very highest levels of waterproofness, but in most cases their boots are also made from hydrophobic leather that actually repels water. 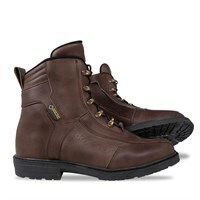 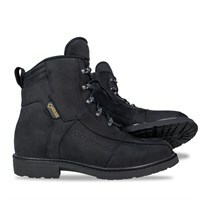 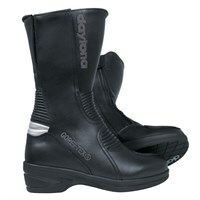 In the sole, Daytona boots have a steel shank for stiffness and protection. 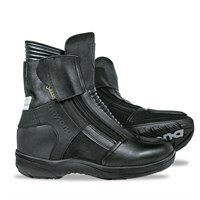 As you would expect, you also get hard protectors for the heel, ankles, and toe area. 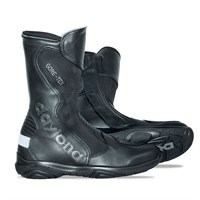 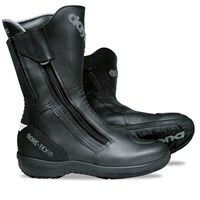 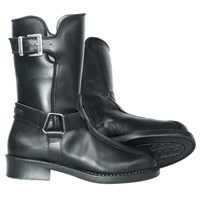 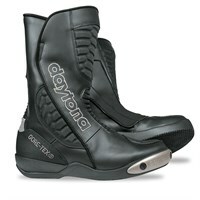 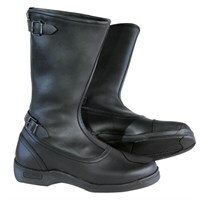 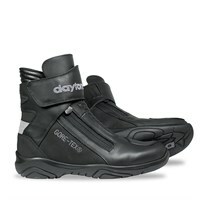 Daytona boots all come with a two year warranty, but for most motorcyclists a pair of Daytona's will last a lifetime. 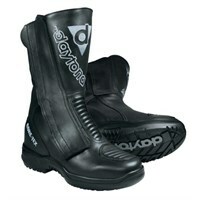 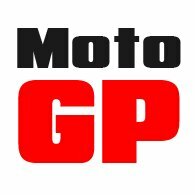 And that's because Daytona will re-sole boots, replace membranes, or indeed any other part of the boot that falls into disrepair. 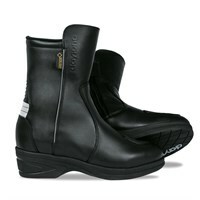 Our favourite Daytona boot is the Travelstar Pro GTX, a boot that was created specifically for use by the UK police and the military. 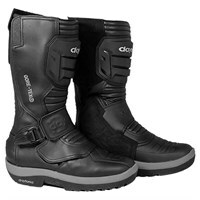 We think it's the world's best motorcycle boot.